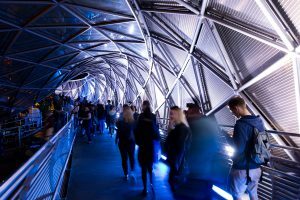 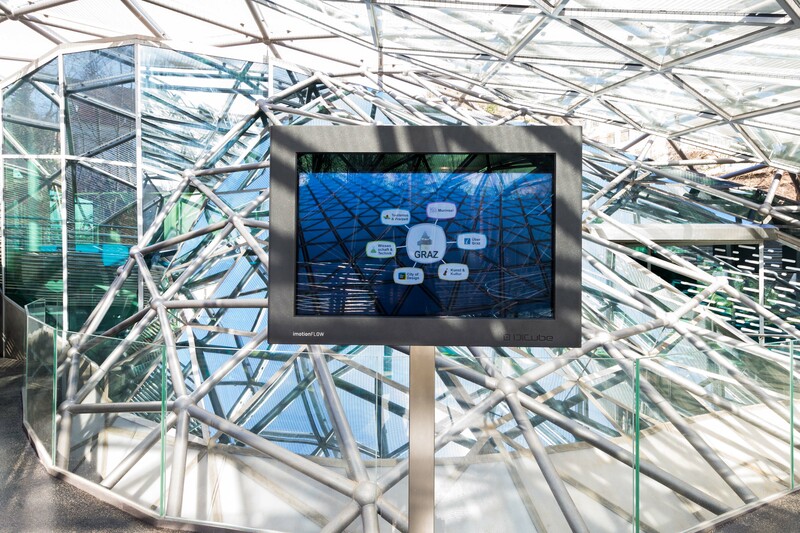 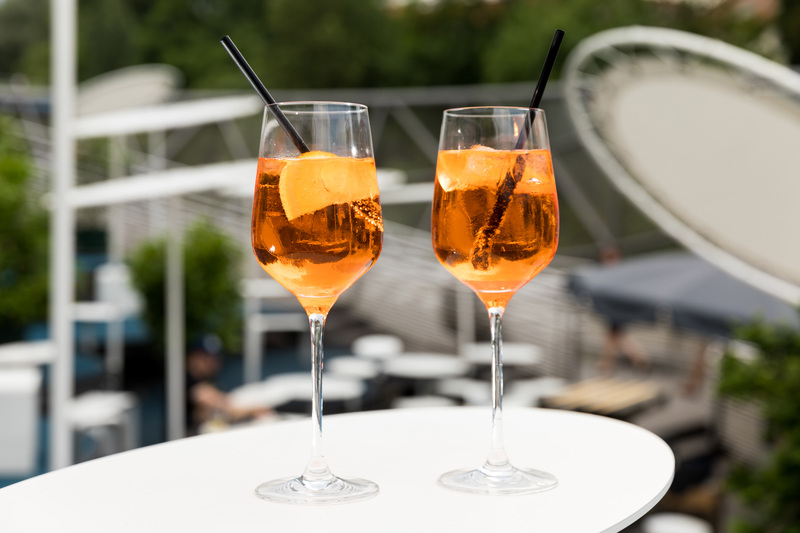 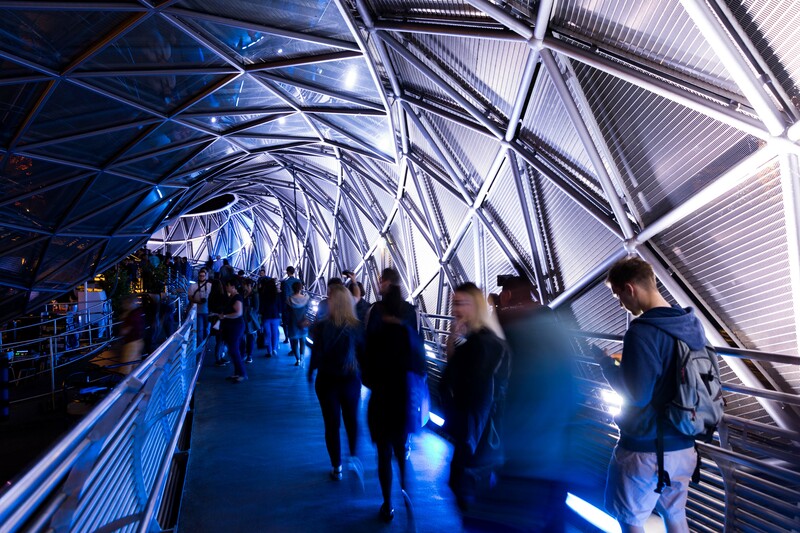 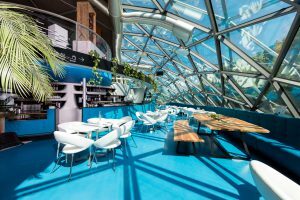 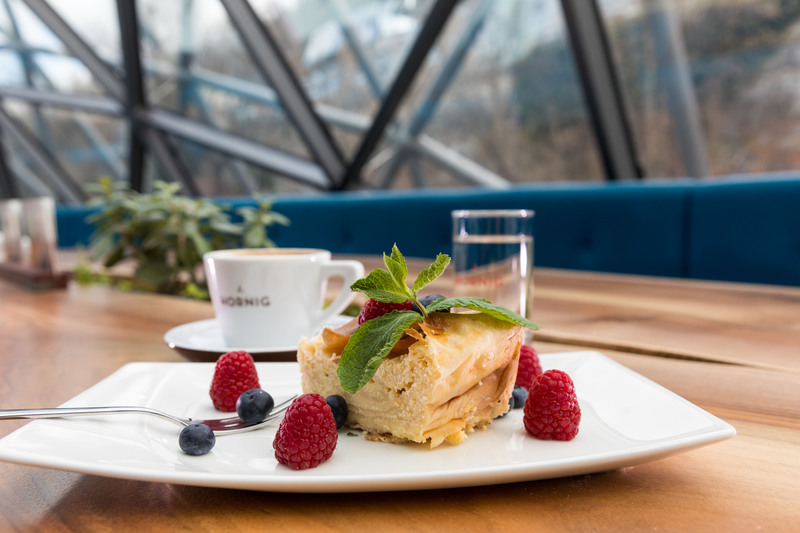 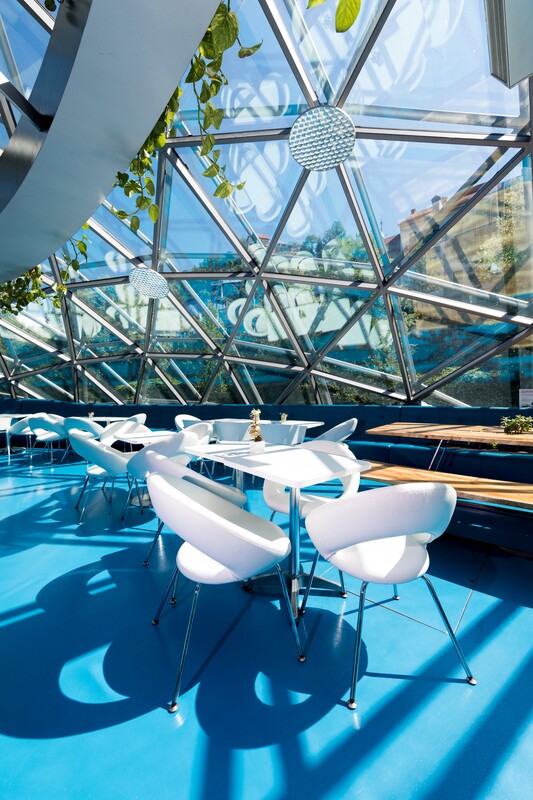 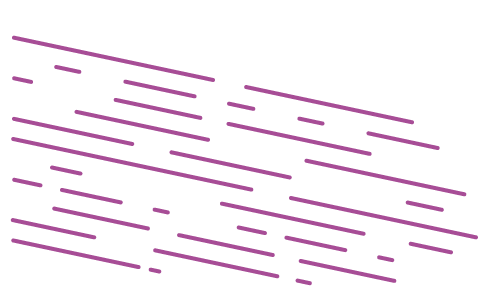 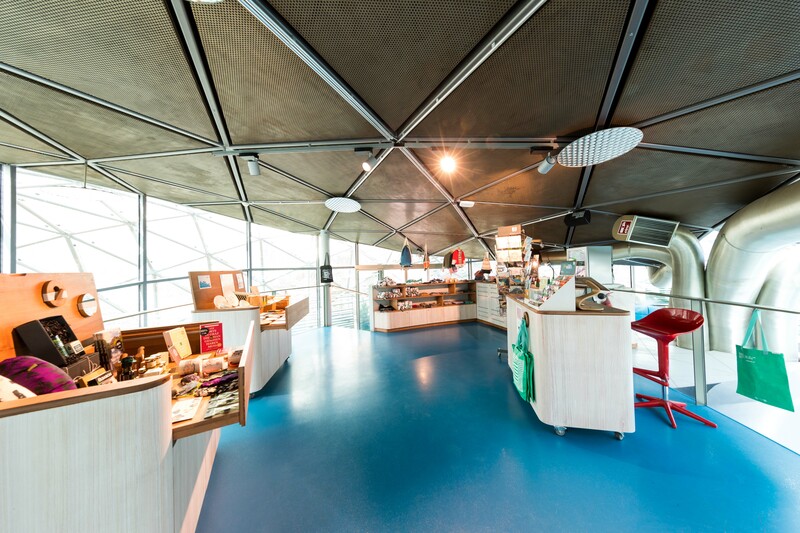 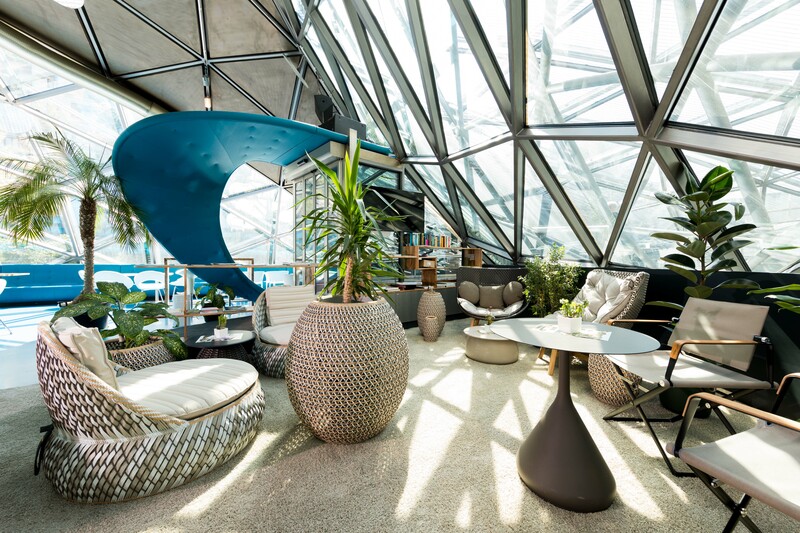 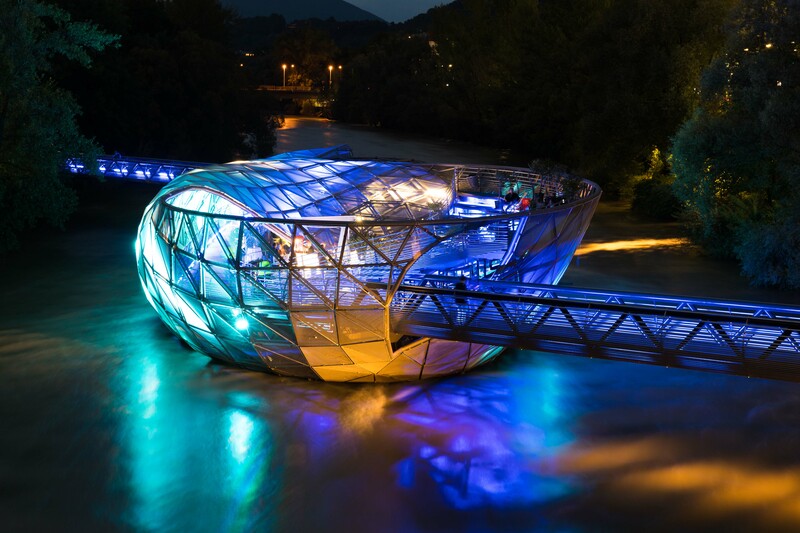 We have summarized the most important facts about the Murinsel for you. 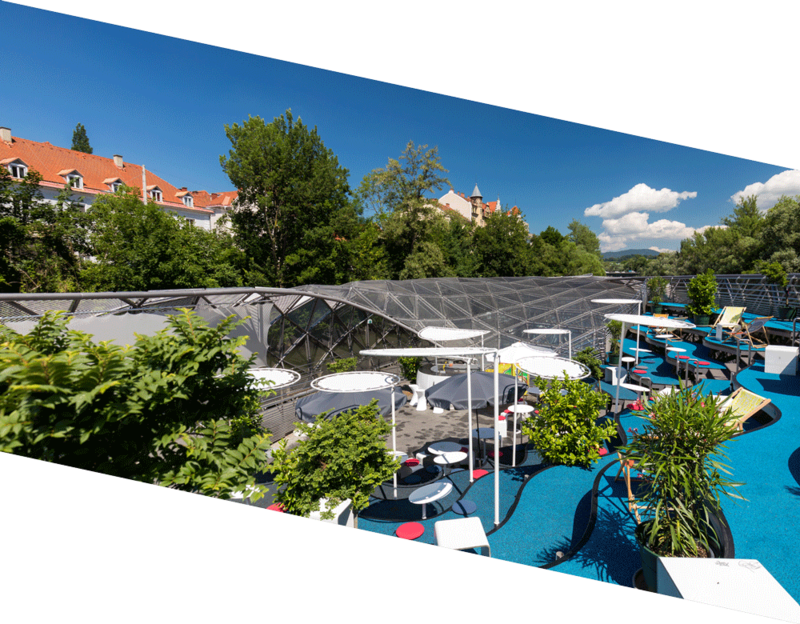 Should you have any further questions, please do not hesitate to contact us for further information! 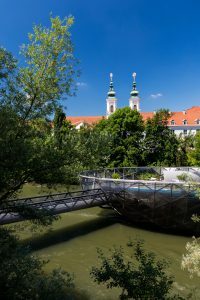 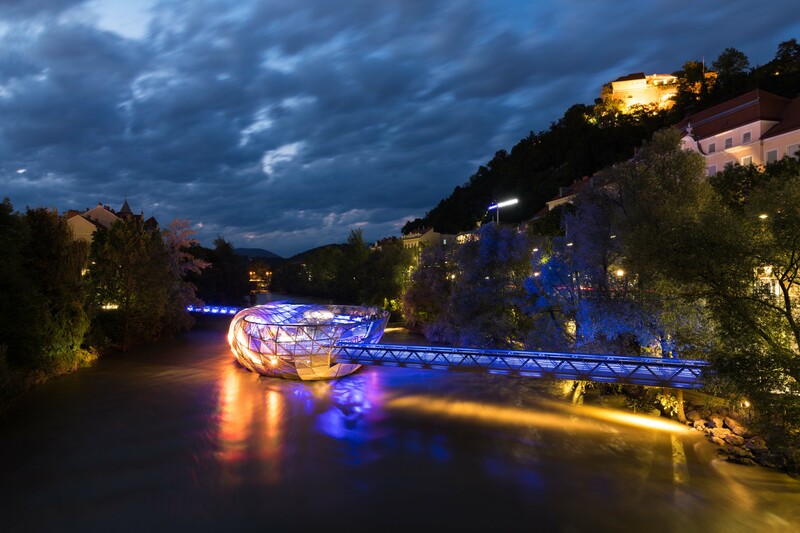 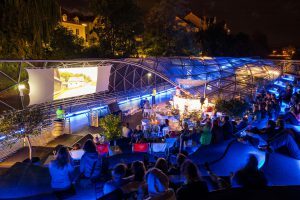 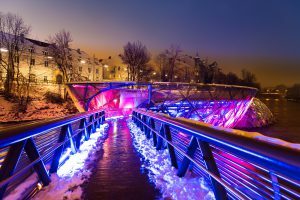 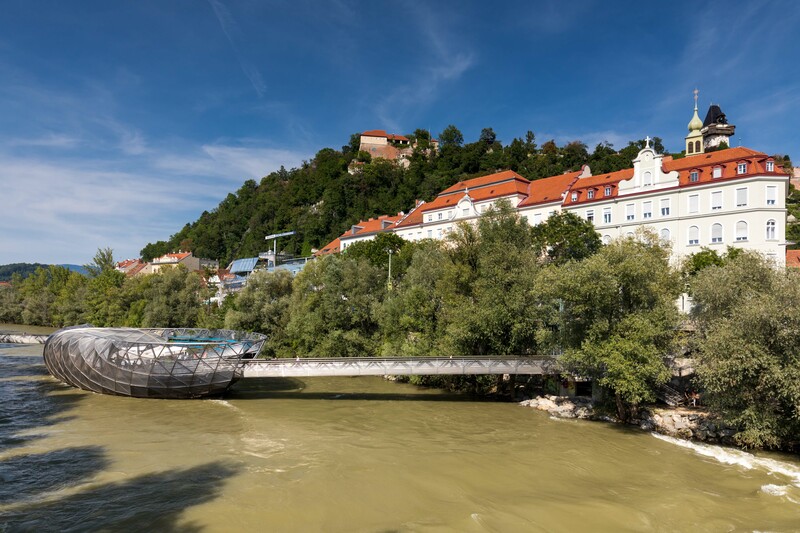 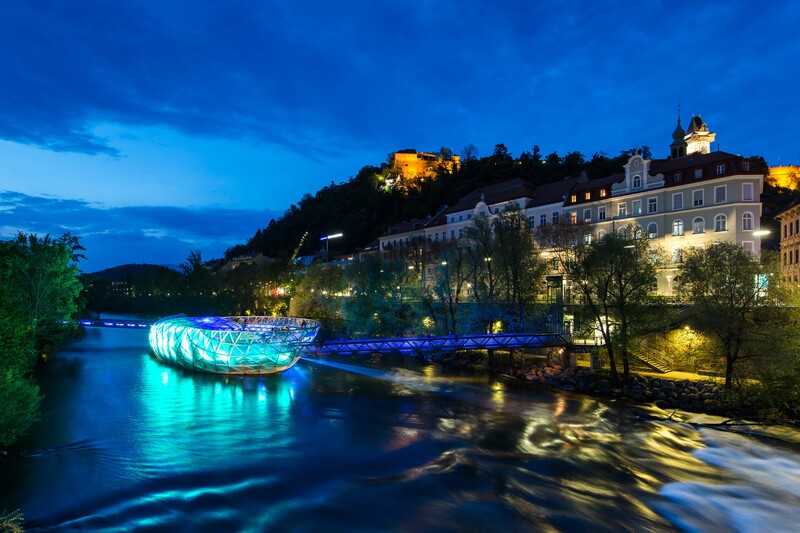 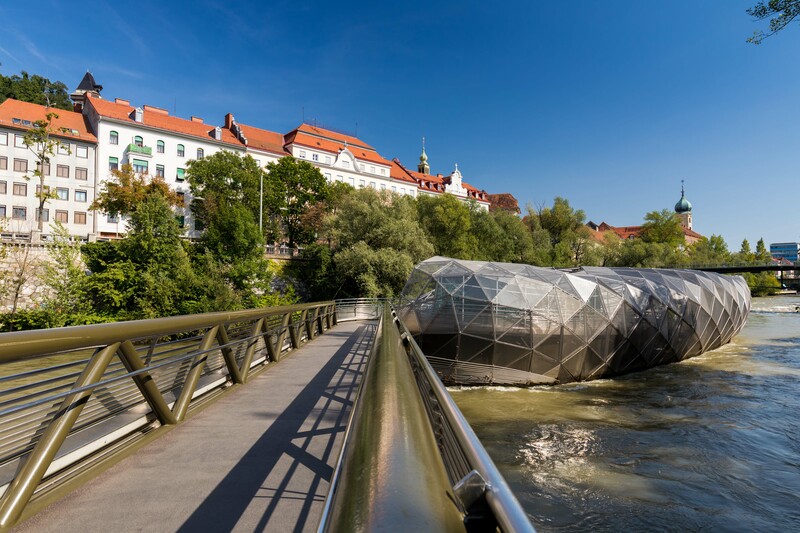 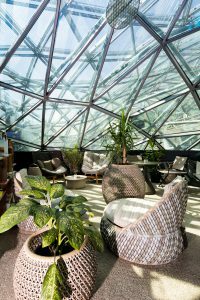 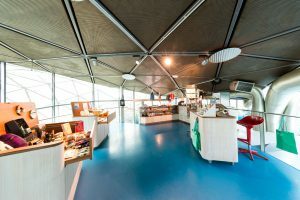 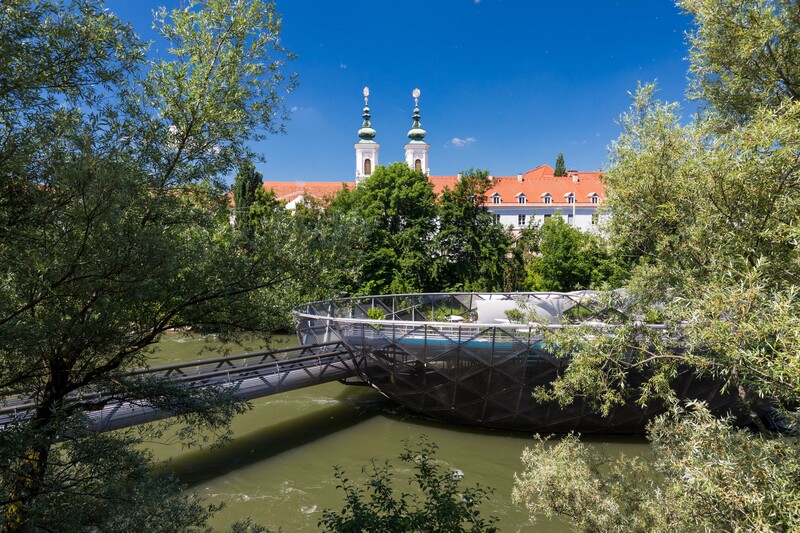 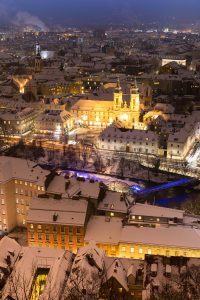 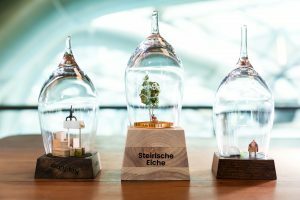 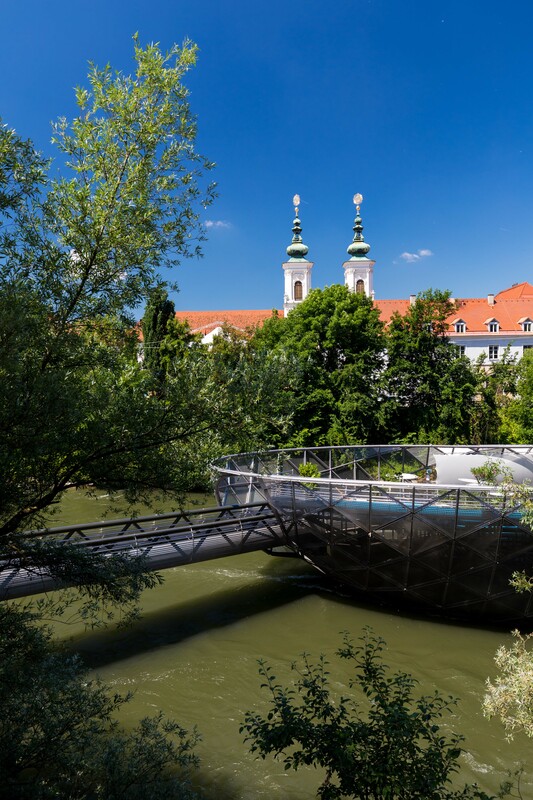 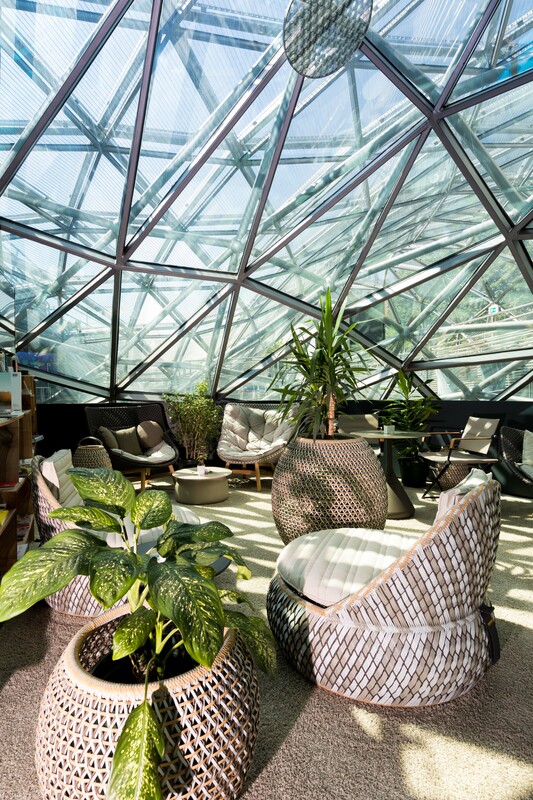 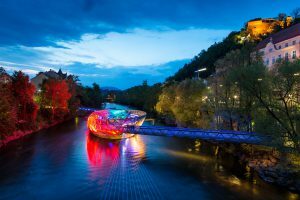 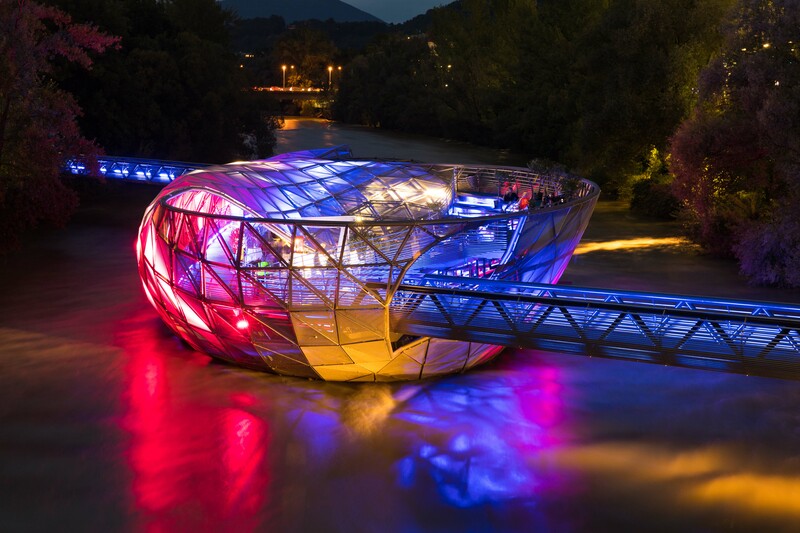 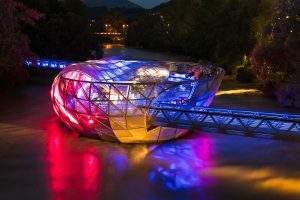 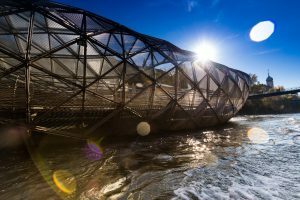 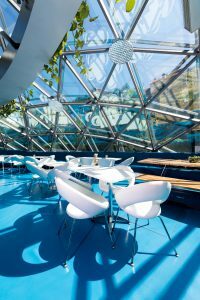 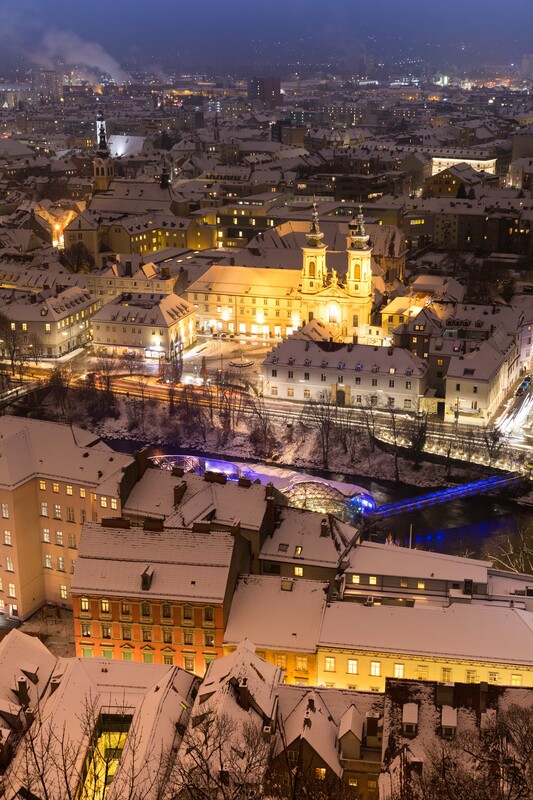 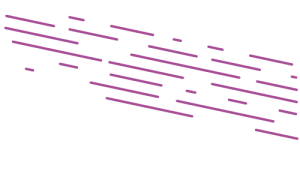 "The island in the Mur as a creative hotspot"
The city of Graz is divided into two parts by the river Mur. 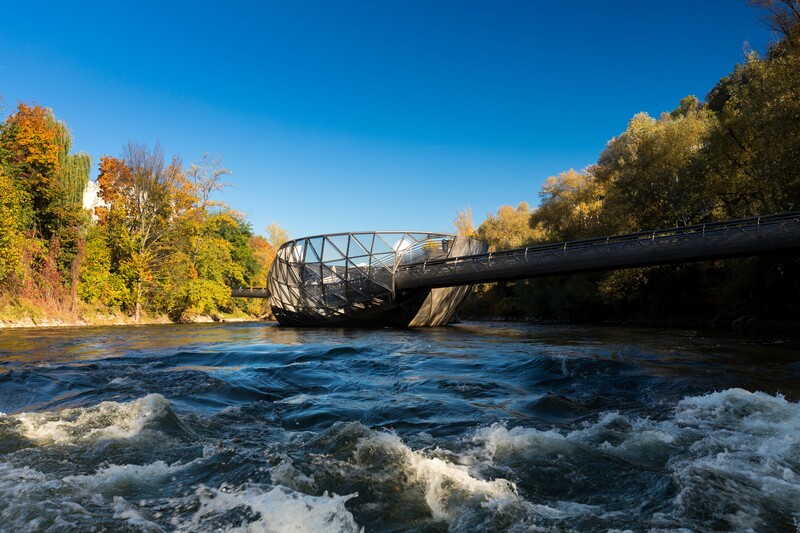 As a sign of overcoming this cultural separation, an island made of glass and steel was built in the river according to the designs of the New York designer and artist Vito Acconci for the European Capital of Culture 2003.